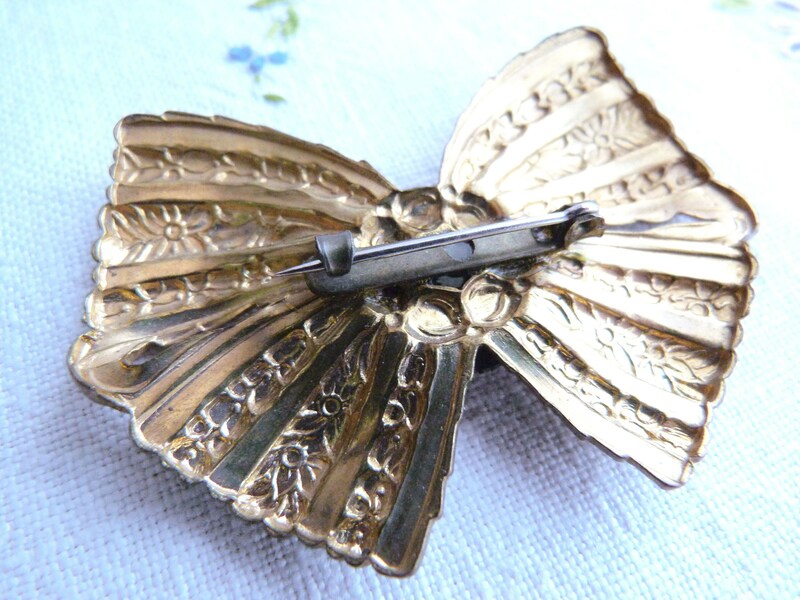 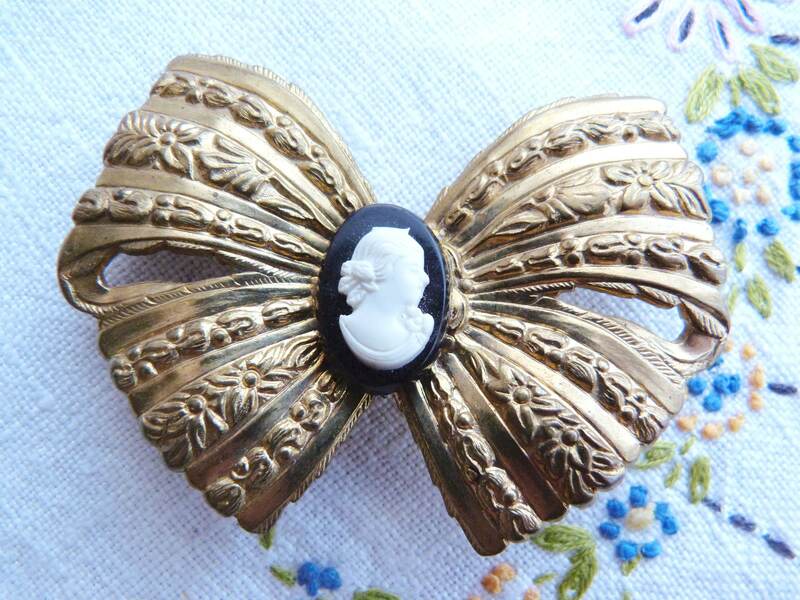 Very beautiful big ornate brass brooch shaped as a bow, adorned in the middle with a black and white resin cameo. 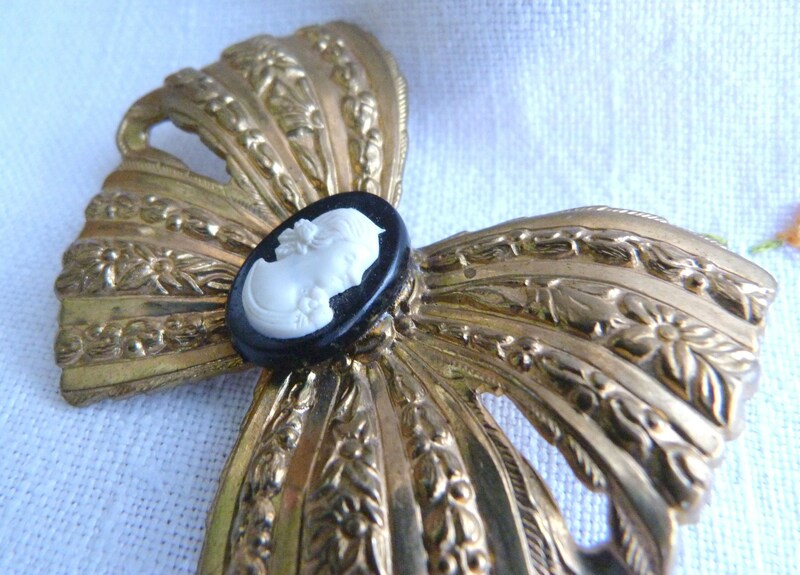 CONDITION : Excellent! 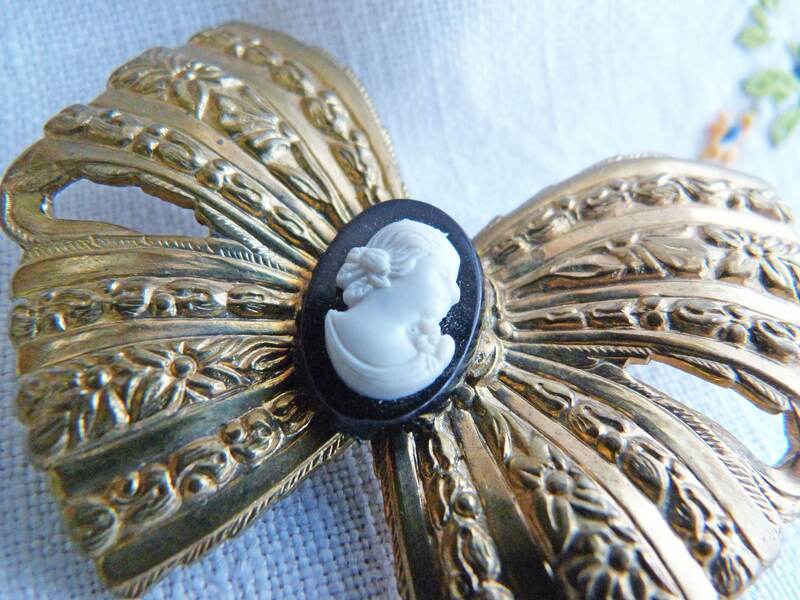 A few barely visible marks on the cameo.